Ouranio Tokso Families is hosting for the 5th year in a row the International Family Equality Day event (IFED 2017) with the main theme “Love makes a family”. 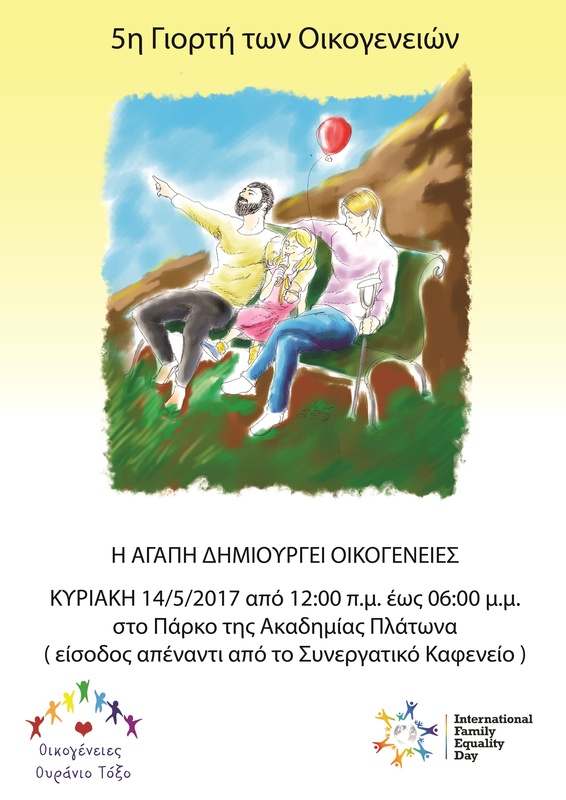 This year the event will be held on Sunday May 14, 2017 from 12:00 till 18:00 at our usual meeting place in Plato’s Academy Park with a lot of activities that will keep everyone pleasantly occupied. In this family equality event there will be games for the young, chatting and warm conversation for the grown ups and our traditional rainbow cake.